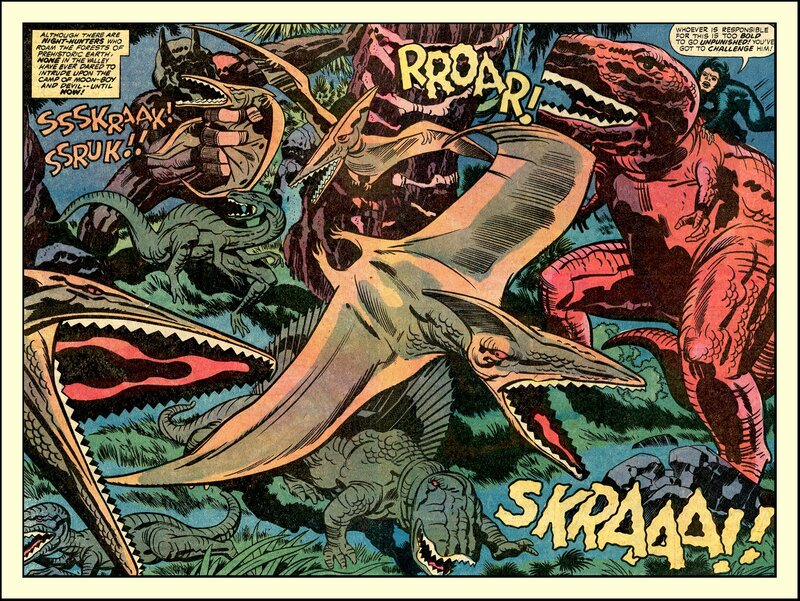 Jack Kirby’s Devil Dinosaur 3! 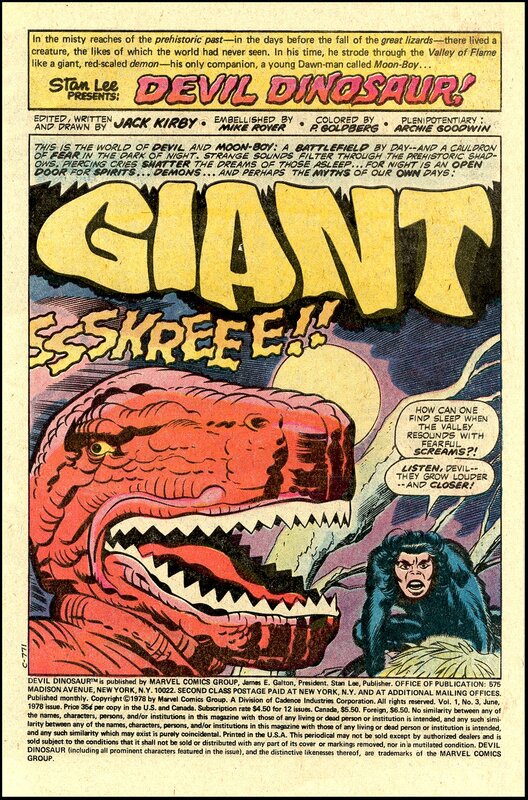 In an age when giants walked the world, he was the mightiest of them all: Devil Dinosaur! Jack Kirby‘s Devil Dinosaur and his pal Moon Boy inhabit “Dinosaur World.” Devil Dinosaur, as a result of a mutation, is bright red, smart as a human, and super-strong. It’s a fun ride, so hold tight to your Tyrannosaur and get ready to rock! Collect all 9 issues of Devil Dinosaur or the Devil Dinosaur Omnibus ! alex in san jose AKA… on Robert Crumb’s Meatball!